We are dedicated to providing our customers with a high level of computer support at a very reasonable price. Our services include designing and maintaining computer networks and web pages. 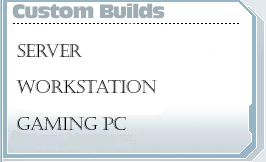 All computers are custom built using quality name brand products by Microsoft Certified Professionals. Please contact our staff today for a free consultation. 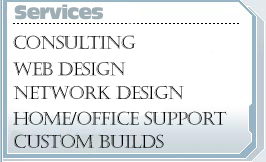 Our specialty at PittStop Computers is network design. We can upgrade your existing network or build a complete network from scratch. The network design implementation will allow you to concentrate on making money and not your network failing. This piece of mind is priceless and will only cost you $45.00 an hour. Check out Network Design page to find out more. Our designers can create any type of web site you desire. From simple, easy to navigate sites, to complex database driven sites. We provide full design, hosting and management. Our prices for updating sites are the lowest around. 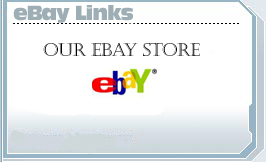 We provide e-commerce and shopping carts, and we can create flash designs for any site. Please see our Web Services page for further information.